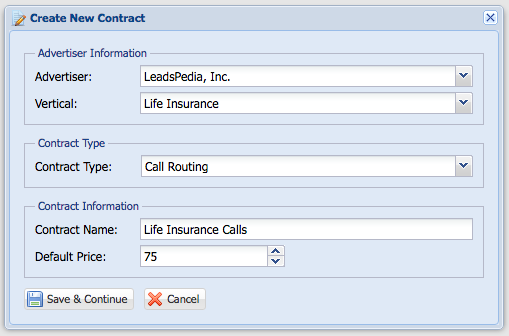 Contract Type: Select Call Routing. Contract Name: Give Your Contract a Name. Default Price: The revenue you will be generating for routing calls to the Contract. Click Save & Continue. 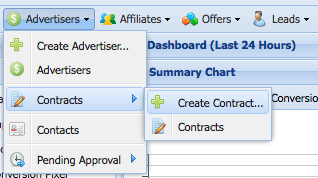 The Contract window will open to manage additional settings which we cover in other articles. Remember: You need to add the Contract to the Offer in order for calls to be routed to the contract.